Excuse the vulgarity and prurience of my choice of words, but most Nigerians are familiar with the local Hausa herbal aphrodisiac called “burantashi,” which literally means “male private part, wake up.” Well, Nigeria’s National Assembly members need “braintashi,” my coinage for a stimulant that wakes the brain up. From the outside looking in, the vast majority of National Assembly members come across as brain-dead, monomaniacally mercantile knuckleheads who have no business being in the business of lawmaking. This is, frankly, a regrettable thing to say because there are a few truly honorable, clear-headed men and women in the National Assembly. But it’s difficult to ignore the huge joke that the National Assembly has become. If National Assembly members are not exchanging fisticuffs over inanities—like hyperactive, ill-bred high-school kids—they are arguing interminably over unearned perks and over who chairs cushy, “juicy” committees or leadership positions. If they are doing none of the above, they are luxuriating in sybaritic lavishness. The other day, the Speaker of the House of Representatives admitted to spending millions of naira to charter a private airplane to fly to a community in Delta State to “commission” a church. Perhaps the lowest water mark yet in the show of brainlessness by the National Assembly happened a few days ago when 5 senators and 20 members of the House of Representatives constituted themselves into an ad hoc committee of bodyguards around Mrs. Toyin Saraki when she was invited by the Economic and Financial Crimes Commission (EFCC) to answer questions over allegations of corruption against her. I can’t wrap my head around why 25 full-grown members of the National Assembly feel the need to serve as shields to the wife of a Senate President who has been accused of corruption. Although I am being facetious when I say the National Assembly needs an overabundant supply of “braintashi,” I am truly concerned that the National Assembly is fast earning notoriety as the place where brains die, as the graveyard of commonsense. 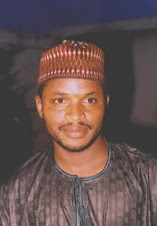 What was Senator Sani thinking when he said that? Forgery is a crime. Why should people who are accused of a crime be left to sit in judgment over their own wrongdoing? The forgery allegation may well turn out to be false or intentionally hyperbolized for political reasons, but only a proper police investigation can prove this. 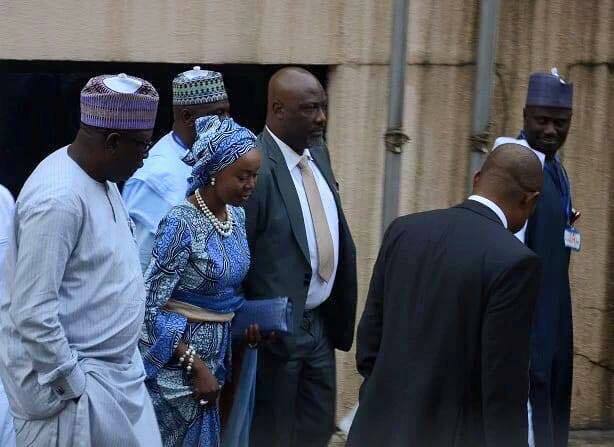 Again, Senator Dino Melaye who touted himself as an anti-corruption crusader and who rode on the crest of the BringBackOurGirls movement to political reckoning was among National Assembly members who formed a committee of bodyguards around the senate president’s wife when she was invited by the EFCC over allegations of money laundering. The infantilism, indolence, and moral and intellectual degeneracy of the National Assembly are some of the biggest pieces of evidence, if any is needed, that we don’t need a full-time bi-camera legislature in Nigeria. My July 18 column titled “Why Buhari Should Leave Radio Biafra Alone” generated more heat than light. I sense that many probably just read the article’s headline and assumed that they knew what its content was. It was my most shared article on Twitter, and it was shared mostly by Radio Biafra apologists who, without having read the article, assumed that I was a supporter of the station. Most of my critics, on the other hand, were so-called Buharists who thought I was restraining the government from confronting Radio Biafra. I didn't say the government should do nothing about Radio Biafra. I said, instead, that government's response to the station has only helped to lionize it. If government chose to jam the radio station’s signals (which is pointless since it can transmit via satellite or via the Internet) they should have been silent about it so as not to give it the legitimacy and stature they have now given it. After saying they have "successfully jammed" the station's signals, the presidency issued a press release responding to the same station's broadcast. That shows the government lied about "successfully jamming" the station, because if it did, it won't hear the broadcast it responded to in the first place. But, most importantly, by responding to the station via a presidential press release, government made the station way more popular than it would ever have been. That's unwise and ill-advised. This is an ideational war, not a physical one. If government wants to truly undermine the radio, it should first quietly jam its terrestrial signals (because the law requires that it does so) and set up an alternative (satellite or Internet) radio, man it with Igbo people who don't share the rebel radio's divisive and intolerant ideas, and sustain this for as long as the rebel radio exists. Government should never respond to the radio in an official capacity nor arrest any of its engineers or broadcasters. Government’s current thoughtlessly showy strong-arm tactics will only make the station grow into a Frankenstein's monster. It's the same thoughtless approach to Boko Haram's initial ideational challenge that led to the current crisis we are in. Boko Haram members preached their wacky, fringe ideology against western education and democracy without killing anybody. Instead of confronting them on an ideational plane, government adopted disproportionate strong-arm tactics. We all know where that has ended.